For over almost 20 years, I have been representing individuals that have been charged with or are being investigated for drug trafficking. The crime of drug trafficking is governed by Massachusetts General Laws Chapter 94C Section 32E. 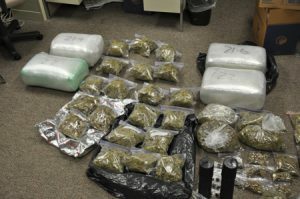 Drug trafficking is the most serious drug crime that you can be convicted of in Massachusetts. I have extensive background in representing individuals charged with drug offenses. In 2003, I appeared on the O’Reilly Factor for a ground breaking case that involved the suppression of a KILO of cocaine. I utilized statistical analysis to show that the Massachusetts State Trooper who stopped my clients vehicle was pulling over and searching minorities at a significantly greater rate than Caucasians. The crime of drug possession is defined as the direct physical control of a controlled substance. In order for an individual to be convicted, he or she must knowingly and intentionally possess a controlled substance from one of the 5 drug classes listed above. A controlled substance will also be considered to be in someone’s possession if the individual has the ability to exercise control over it. This is called constructive possession. The penalty structure is listed below. 50 pounds or more will result in a punishment of 2.5 to 15 years in state prison or 1 to 2.5 years in jail. There is a mandatory minimum sentence of 1 year in state prison. 100 pounds up to 2,000 pounds will result in a punishment of 3 to 15 years in state prison. There is a mandatory minimum sentence of 3 years in state prison. 2,000 pounds up to 10,000 pounds will result in a punishment of 5 to 15 years in state prison. There is a mandatory minimum sentence of 5 years in state prison. 10,000 plus pounds will result in a punishment of 10 to 15 years in state prison. There is a mandatory minimum sentence of 10 years in state prison. 14 grams up to 28 grams will result in a punishment of 3 to 15 years in state prison. There is a mandatory minimum sentence of 3 years in state prison. 28 grams up to 100 grams will result in a punishment of 5 to 20 years in state prison. There is a mandatory minimum sentence of 5 years in state prison. 100 grams up to 200 grams will result in a punishment of 10 to 20 years in state prison. There is a mandatory minimum sentence of 10 years in state prison. 200 grams or more will result in a punishment of 15 to 20 years in state prison. There is a mandatory minimum sentence of 15 years in state prison. 14 grams up to 28 grams will result in a punishment of 5 to 20 years in state prison. There is a mandatory minimum sentence of 5 years in state prison. 28 grams up to 100 grams will result in a punishment of 7 to 20 years in state prison. There is a mandatory minimum sentence of 7 years in state prison.